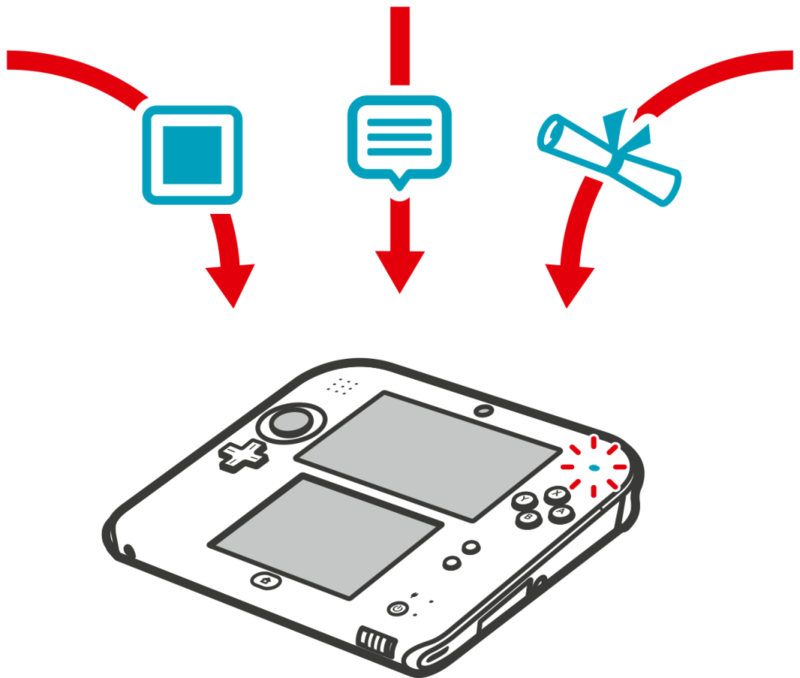 Your Nintendo 2DS system is full of surprises – and many will appear on your system via SpotPass. Just make sure your Nintendo 2DS is wirelessly connected to the internet and see what happens! With SpotPass, your Nintendo 2DS system can detect wireless hotspots or wireless LAN access points and obtain various types of data on the spot. Free software*, notifications and content are just some of the things that might surprise you. Keep your eyes peeled for the notification LED shining blue – that means you've received new data!